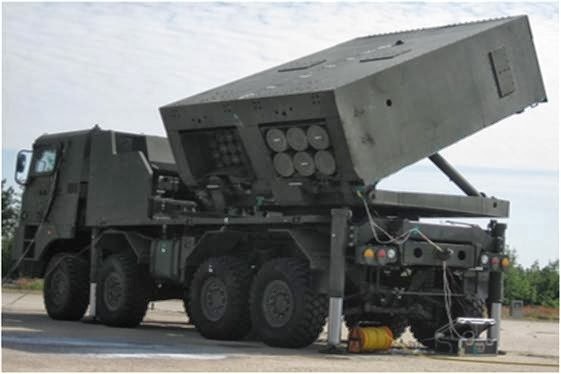 South Korean Hanwha Corporation has developed a multiple launch rocket system K-MLRS Cheonmoo. The latest Cheonmoo MLRS is a highly mobile artillery rocket system operational-tactical. military command in South Korea calls the main task for the new MRL, this suppression of North Korea's artillery systems, in case of military conflict. Work on the creation began in 2009. 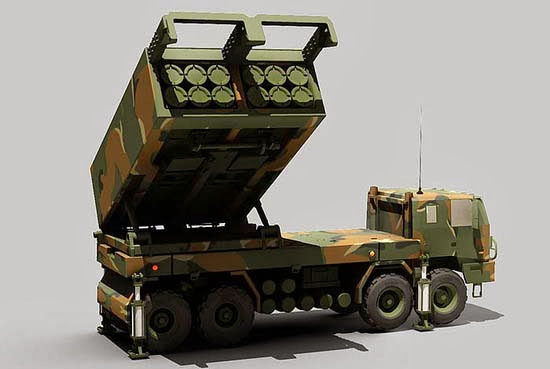 MLRS Cheonmoo, capable of using 227-mm MLRS rockets American MLRS, as well as the 130-mm and 230-mm rockets South Korean development. It is reported that the complex can affect virgin 130 mm rockets at a range of up to 80 km missiles and 230 mm at a distance of about 160 km. 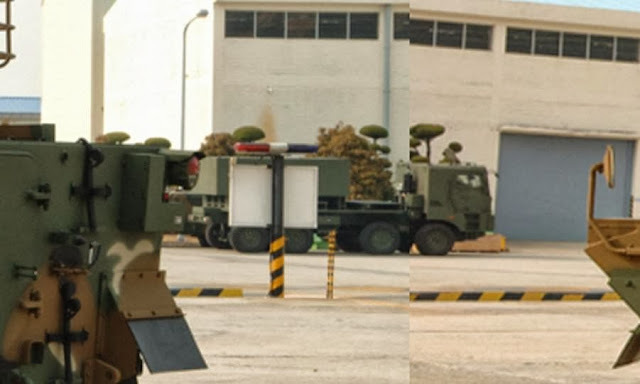 MLRS Cheonmoo mounted on a special wheeled chassis. Aviatransportabelnaya system on the aircraft type C-130. Currently, there is no precise information on the number taken into service settings. 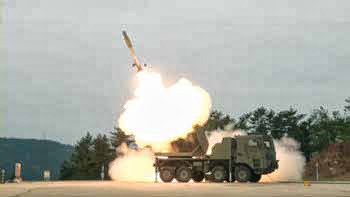 By passing the MLRS Cheonmoo, armed with South Korea are just over 150 Kooryong KM809A1 (approximate equivalent "Castle"), almost as many American MLRS, the majority in the form ATACMS.